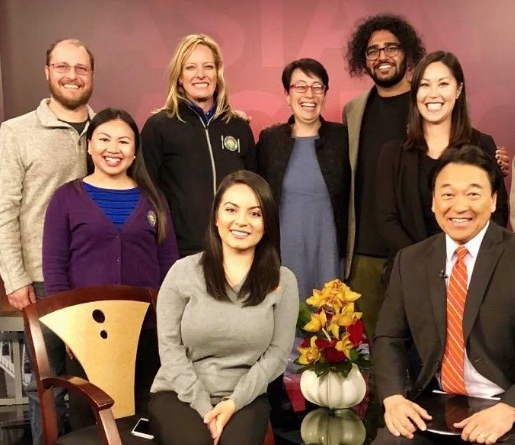 SAN JOSE — On Sunday, Nov. 18, “Asian Pacific America,” hosted by Robert Handa, focuses on the annual food drive as NBC Bay Area and sister station Telemundo 48 join together for Safeway’s Feed the Need Holiday campaign to end hunger. Last year the food drive collected more than 350,000 bags of groceries to be distributed to nine Bay Area county food banks. That’s more than 4 million pounds of food. Guests will talk about the fact that one in four people who live in Santa Clara and San Mateo counties subsidies their home pantry using food bank services. Also, UC Berkeley’s Basic Needs program director will share information about college students experiencing housing and food insecurity.